HI Everyone. 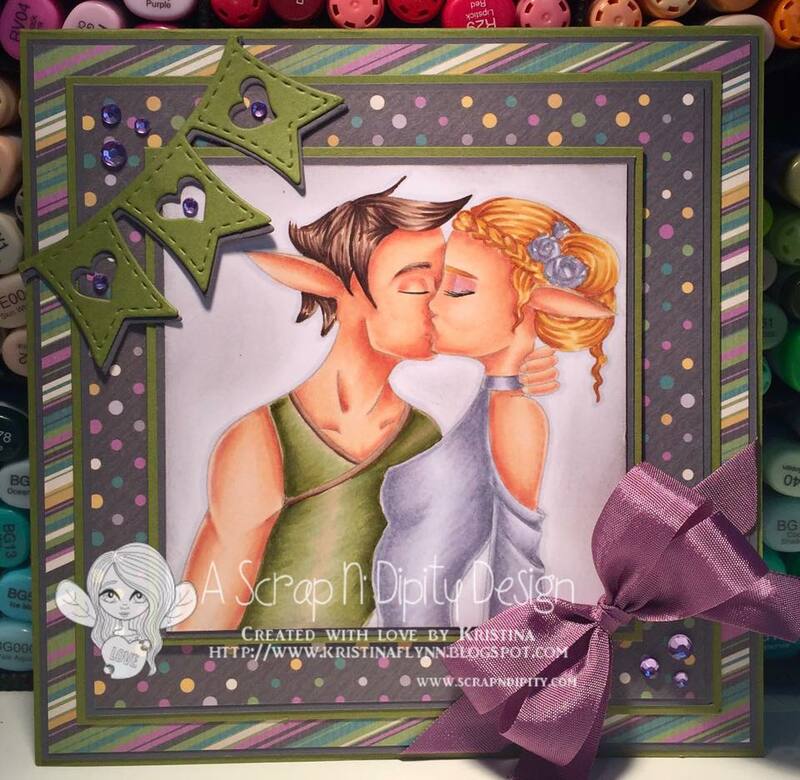 Today I am sharing my spotlight post over at the Scrap n' Dipity blog. For my card I have used the image - Under the Mistletoe. The digital image comes with a mistletoe wreath around the image as well as one without. I have used the one without the wreath as I wasn't going for a Christmas feel. The ironic thing is the patterned paper I have used is from a Christmas range by Couture Creations - Be Merry and Bright! Hope you get a chance to get crative this weekend! This is simply beautiful! I love the papers, design and your colouring is stunning.